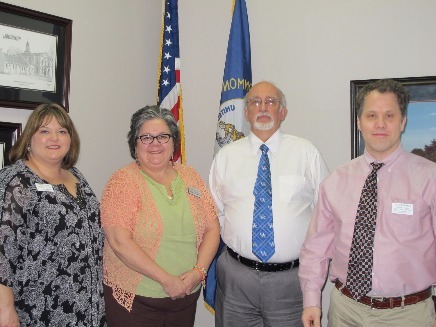 ​The Long Term Care Ombudsman Council met Wednesday March 16, 2016 at the PADD office. Our guest speaker was Sherry Culp, State Long Term Care Ombudsman. She spoke on the “12 days of Legislation left” and what that means to residents in Long Term Care. The meeting was informative and well attended. We also discussed our trip to Frankfort in support of “Rally for Seniors” at the rotunda. After the rally we were able to meet with Senator Westerfield and two Representatives of the House on bills that affect our seniors.